The Children’s Book Review's 10th Anniversary Giveaway! 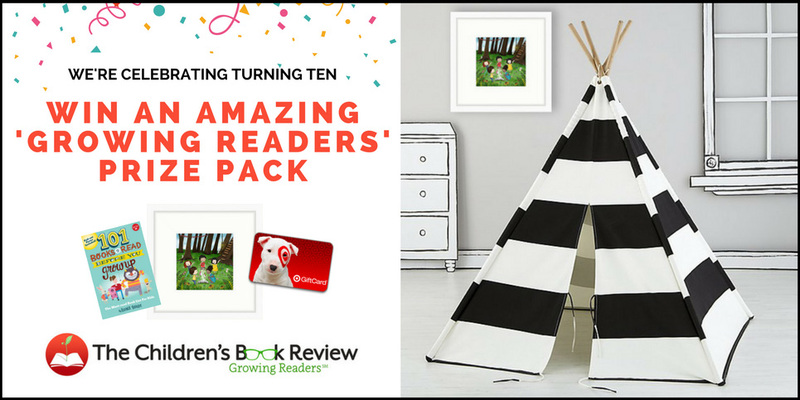 Enter for a chance to win a special prize pack that will help a lucky reader create a fun kids reading nook—including a framed TCBR original print created by children’s author & illustrator Alexandra MacVean. Giveaway begins March 30, 2018, at 12:01 A.M. MT and ends April 30, 2018, at 11:59 P.M. MT. 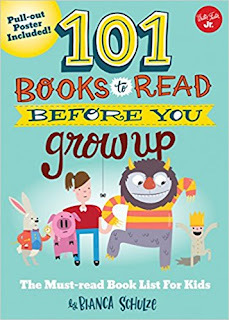 Alexandra MacVean was commissioned to create a commemorative illustration that honors 10 years of The Children’s Book Review’s mission of growing readers. 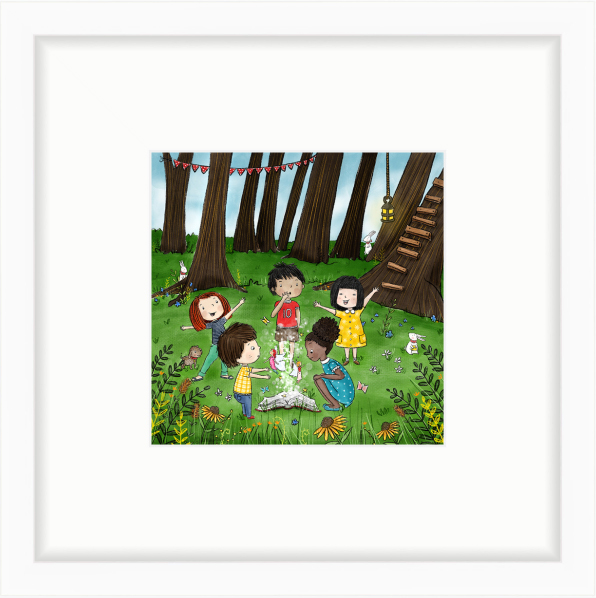 She is a professional award-winning, freelance children’s illustrator who creates vibrant, whimsical illustrations for children’s books, greeting cards, and more. Her desire is to touch the lives of adults and children alike, bringing some sort of hope, peace and love along the way. 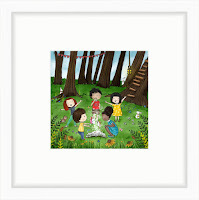 The 6″ x 6″ print is surrounded by white mat and a thin white frame that looks great in any space. 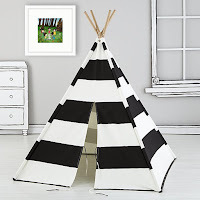 Crate and Kids Overview: Our black and white teepee has a simple yet bold design that can match all types of home decor. 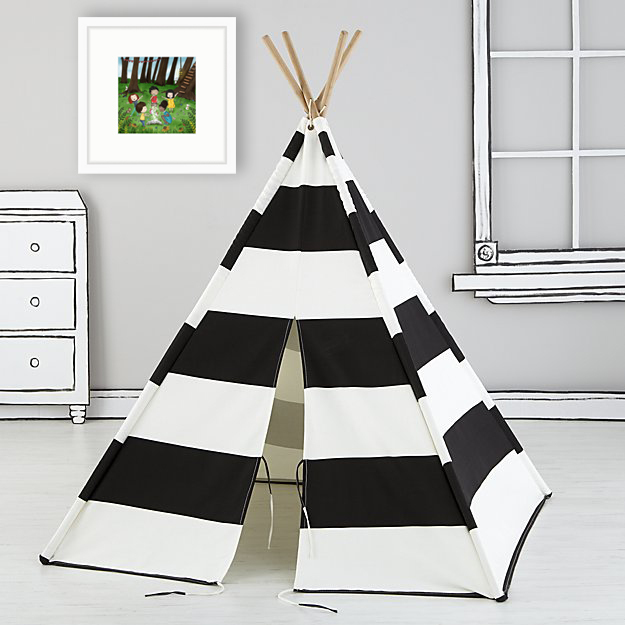 Plus, this striped play teepee is crafted from durable cotton canvas and bamboo, so it’ll last and last. The Children’s Book Review, named one of the ALSC (Association For Library Service To Children) Great Web Sites For Kids, is a resource devoted to children’s literature and literacy. 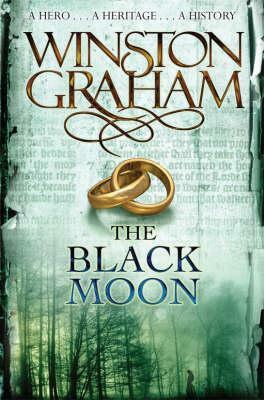 TCBR publishes reviews and book lists of the best books for kids of all ages. 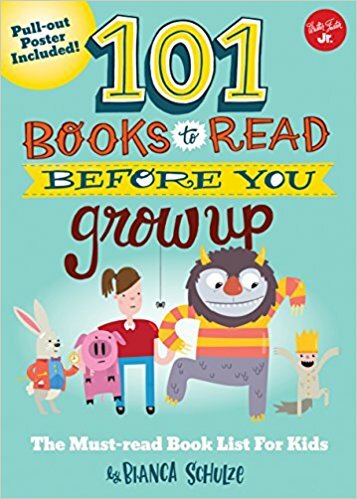 TCBR also produces author and illustrator interviews and shares literacy based articles that help parents, grandparents, caregivers, teachers and librarians to grow readers. 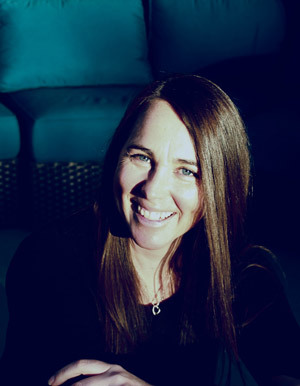 Bianca Schulze is the founder of TCBR and the bestselling author of 101 Books to Read Before You Grow Up (Walter Foster Jr. 2016), an Amazon “Best Book of the Month” in October 2016. Per FTC guidelines, I work in partnership with The Children’s Book Review. I will receive small compensation for this post. What a wonderful prize. Thank you for the post and the info.